Comprehensive assembly instructions & DVD included. 45mm dance Pole as used by the professionals and dance studios. Easy to use height adjuster with cover. Articulating base, easy to set up on uneven floors. Well packed in compact and individual protected tubes package. 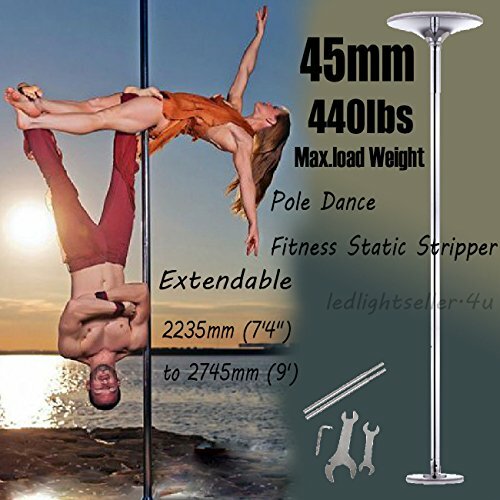 45mm (1.96") Pole as used by the professionals.Extendable from 7'4" - 9"
Angular stability lock & articulating base makes it stable all the time. Softtouch Double Ballet Barre Stand 8ft Portable Dance Bar Adjustable 31"- 49" Freestanding Stretch 96"